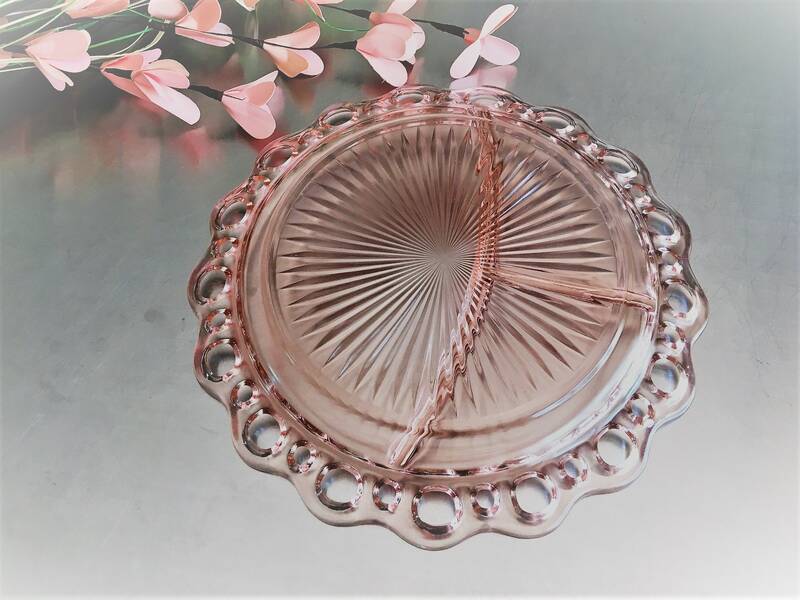 Featured here is an increasingly hard to find piece of pink Depression Glass by Hocking. 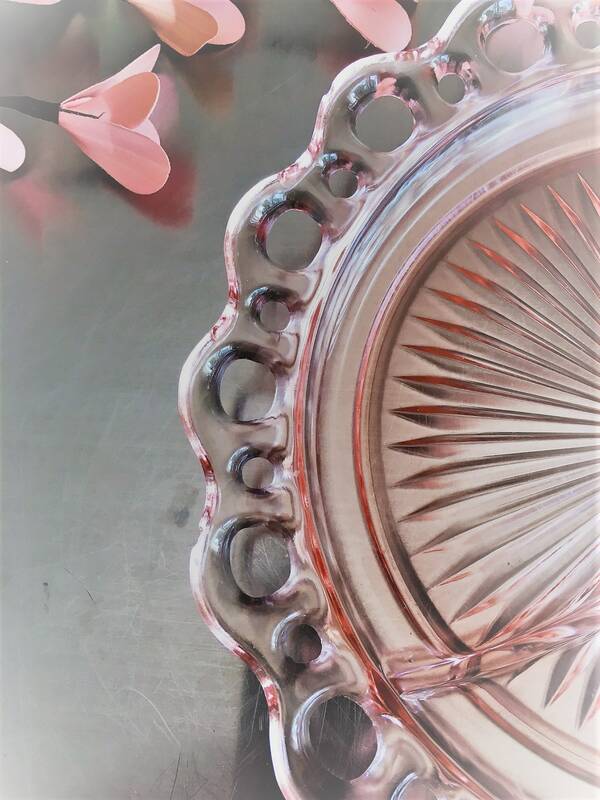 This Grill Plate is in their Lace Edge Pink pattern that is often called Old Colony. The pattern was produced from 1935-38, and it's just as beautiful 80 years later. 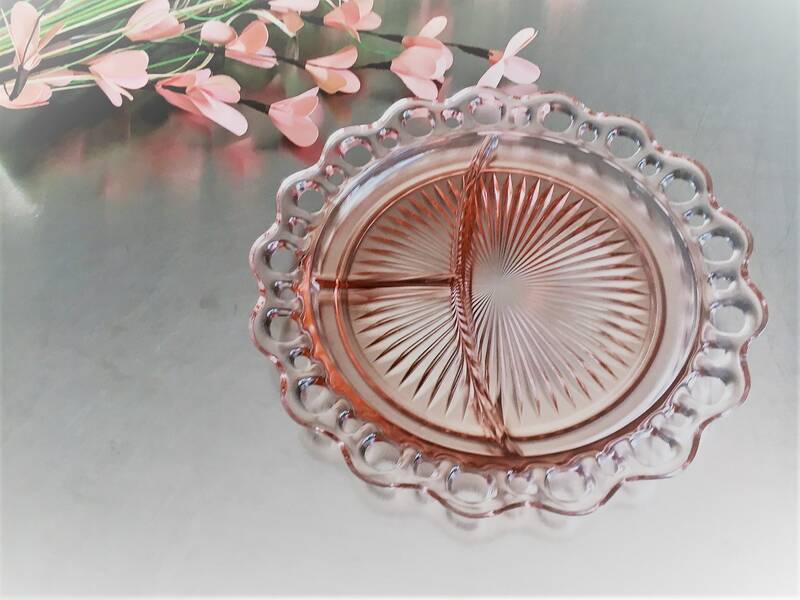 It measures just over 10 1/2 inches across the rim and is divided into three sections. 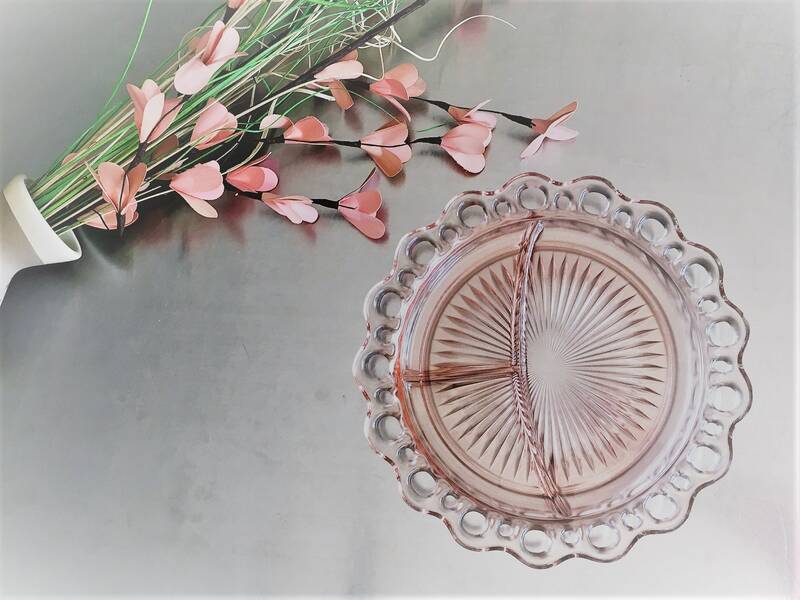 This piece is has a few chips around the rim, but would make an excellent placeholder in your vintage glass collection or put it into everyday use. The price has been reduce to account for the chips. A great piece to round out your collection. A perfect gift idea for Easter, Mother's Day, or for a baby shower.